In Chandigarh, Pierre Jeanneret had the thankless task of supervising, step by step, the creation of the new capital city, of sticking to the plans and carrying them through when the path was difficult and strewn with obstacles. I am very appreciative of it and I owe him a huge debt of gratitude. 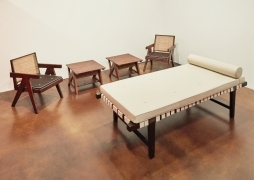 As a part of the annual design exhibition program, Kukje Gallery is pleased to present Swiss-Franco modernist, architect, and designer Pierre Jeanneret (1896-1967) in the exhibition Le Corbusier, Pierre Jeanneret: Chandigarh, India, 1951-66. The exhibition will take place at the gallery’s K2 space from April 26 to May 29, 2016. 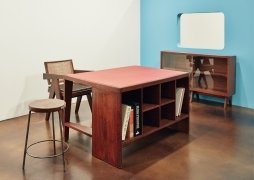 As a celebrated architect and designer, Pierre Jeanneret pursued a progressive architectural philosophy that integrated design into everyday living. His ideas were practical yet driven by a refined aesthetic, and he expanded the boundaries of design in the 20th century, moving it beyond the privileged classes and improving peoples’ standards of living through innovation. Jeanneret is best known for his more than fifty-year collaboration with his cousin, the architect Le Corbusier, and their numerous high profile architectural projects such as Villa Savoye (1929), and the Pavillon Suisse of Cité Internationale Universitaire in Paris (1932-33). 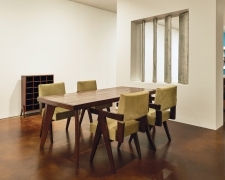 Jeanneret also collaborated with his cousin and famous modernist architect Le Corbusier for fifty year on a variety of architectural projects. 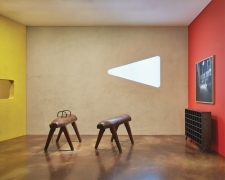 While introverted and sensitive compared to his more well-known and charismatic cousin Le Corbusier, Jeanneret was robust with imagination and also a skilled artisan. 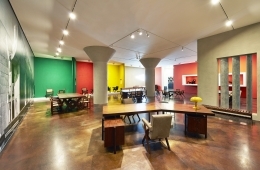 He made many contributions to the realization of designs in his partnership with Le Corbusier. 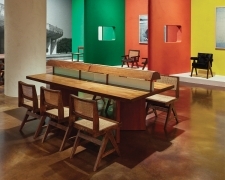 All of the work featured in Le Corbusier, Pierre Jeanneret: Chandigarh, India, 1951-66 was designed by Jeanneret to be used in the new capital city of Chandigarh in the state of Punjab in Northwest India. Initiated in 1951 following India’s independence from Britain, Jeanneret and Le Corbusier were charged with building a brand new capital and creating a master plan that harmonized the city with its native Indian culture. 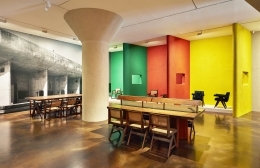 The Indian government commissioned Jeanneret and Le Corbusier, and later the English husband-and-wife architects Maxwell Fry and Jane Drew, to complete this ambitious project from scratch, giving them a tremendous opportunity to forge an innovative and ambitious concept. Using simple, straight roads to divide the 1,200 by 800 hectares into sections, they arranged the city according to function, designing sectors around the National Assembly, Parliament, Secretariat, High Court, and other major administrative buildings. 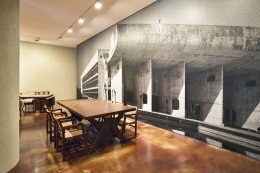 For the Chandigarh project, the architects aimed to incorporate modernist philosophy in both the design of the city as well as every aspect of its day-to-day functions, including, most notably, all of the furniture and interior design. They hoped to create a plan that both balanced India’s unique culture and climate conditions, and the demands for a vibrant civic and administrative center. 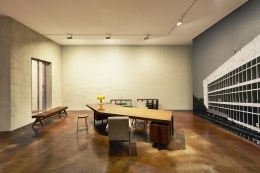 With this as a framework, they modeled their design on the proportions of the golden ratio and Le Corbusier’s “Modulor” theory, which sought to create an innovative ergonomic relationship between architecture and the human body. 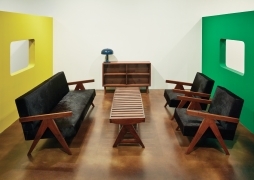 Installed in K2, this exhibition frames the collaboration between Pierre Jeanneret and Le Corbusier by presenting one of the largest cohesive groupings of furniture from this historic site, providing a rare opportunity to see their avant-garde ideas. 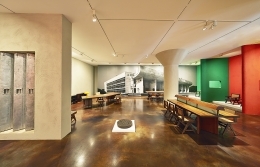 The exhibition includes a vast and cohesive grouping of furnishings including chairs, cabinets, cots, sofas, and desks, all of which were produced as a part of the project. Pierre Jeanneret lived in India and oversaw the execution of the project as its supervising director for fifteen years. The designer committed himself to designing not only the furniture and interiors for many of Chandigarh’s most iconic buildings, but also to supporting local industry and craft, thereby integrating traditional Indian tradition and materials into the fabrication of his designs. This commitment led to a marriage of form and function that emphasized the value of the art of practicality, and established a body of work that is celebrated today not only as a unique modernist legacy, but as one of distinctive Indian heritage. 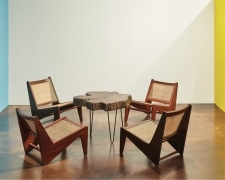 Combining strong minimal forms and simple materials such as wood, cane, and steel, Jeanneret’s designs integrated modern ideals with the rural spirit of the Indian craftsman’s work, a mélange that can be seen most strikingly in the exquisite use of local teak and rosewood. 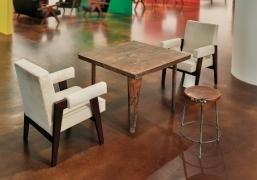 Specific engineering solutions and formal attributes in the furnishings, for example in the “Library Table” and “Kangaroo Chairs”, share an instantly recognizable geometric language. Often utilizing the basic shapes of “x” “u” and “v”, these forms can be seen clearly in the support structures and legs of these iconic works. 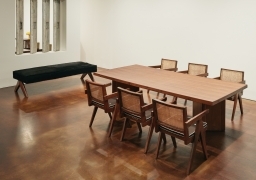 Pierre Jeanneret’s simple designs and use of modest materials made it possible to mass-produce the pieces, and people, no matter of their social standing, were able to use the furniture easily and conveniently. This generous spirit continues to characterize the pieces today, and they have become one of the most iconic designs of the 20th century. 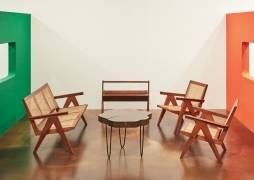 Pierre Jeanneret was born in Geneva in 1896 and graduated from École des Beaux-Arts in 1921. In 1923, he opened an architecture firm at 35 rue de Sèvre in Paris with his cousin Charles-Edouard Jeanneret, best known by his pseudonym Le Corbusier. Gentle in temperament, Jeanneret helped to design many of the most famous European buildings of the 20th century such as the Villa Savoye (1929), and the Pavillon Suisse of Cité Internationale Universitaire in Paris (1932-33) with his more driven friend and partner, Le Corbusier. 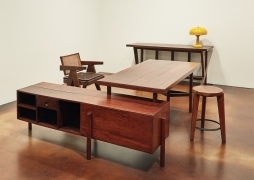 In 1928, Pierre Jeanneret exhibited furniture pieces designed with Charlotte Perriand and Le Corbusier at the Salon d’Automne, an annual exhibition that marked the debut of Parisian artists. 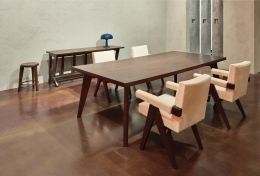 Jeanneret received attention for his commission work for the furniture company Knoll in 1946, where he created Model 92 Scissors Chair in the form of two overlapping V’s. In Chandigarh, Pierre Jeanneret managed all aspects of constructing Le Corbusier’s master plan. 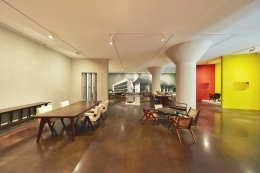 He designed and manufactured the furnishings for various sections of the city, from major administrative offices to public spaces. He made further contributions locally as the principal of the Chandigarh Architecture School, and the advisor of the chief architects and urban research team for the northwest state of Punjab; he also fostered the growth of a younger generation, contributing to the establishment of India’s modern architecture and teaching notable figures such as S. D. Sharma. Following Chandigarh, Jeanneret also participated in urban planning projects for other Indian cities including Sundar Nagar, Delhi, and Ahmedabad, the largest city in the western state of Gujarat. In 1965, the designer returned to his native Geneva due to his worsening health, and died in 1967. According to his will upon his death, the architect’s ashes were spread on Chandigarh's Sukhna Lake.